Staying ahead of marketing trends and mastering new techniques and technologies is a never-ending challenge for all of us. With so many options to engage followers, it can be overwhelming. 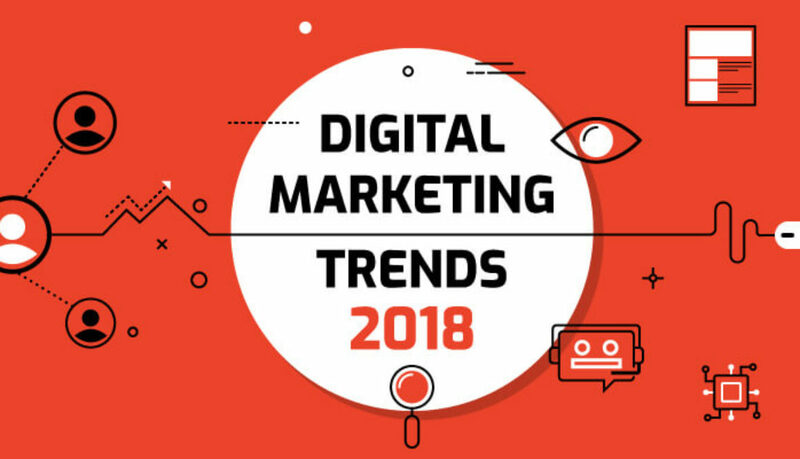 Here are 4 trends to keep an eye on in 2018 that you can implement into your marketing strategy. We’re all used to providing evergreen content – long-lasting content that can be repurposed for years to come. Sure, that always comes in handy, but with all the new social media stories, from Facebook to Twitter to Snapchat, there is now a demand for temporary content. The time-sensitive component makes it exciting and if done correctly, it can help you engage with your followers even more than ever before! Millennials are savvy with this new technology and they expect the brands they like to follow their footsteps. Using this kind of temporary content to highlight the human side of your brand is a great way to connect through social media and show off why your company is special. Video was already gaining in popularity throughout 2017, but heading into 2018 we now have even more stats to back up the effectiveness of this type of content. Videos don’t have to be hard. In fact, videos 2 minutes or less get the most engagement. No one wants to sit there and watch an hour video about what your company does. Hone in on the important points and make it into a visually appealing video. The great part about live streams is that this content can last, especially if it’s successful. The one I like to use is Atomic Reach which gives me recommendations on type and level of language to use, when to post to social media for best engagement, how long my blog posts should be, and more. Embrace this useful technology, but never forget to use AI tools wisely—make sure to keep the human element in the equation. No matter how advanced the technology gets, creativity, empathy, tone, and interpretation are still something only humans can do.